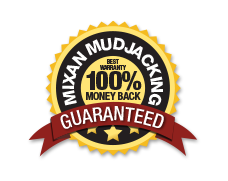 Soil Stabilization | Mixan Mudjacking Inc. Soil stabilization is a process where a low dose of catalyst is used slowing down the reaction which allows the material to permeate loosely compacted soil. The resin is normally injected through small diameter pipes or “probes deep into the soil, and as it cures it solidifies, encapsulating the soil where it has penetrated. These columns are then used as the solid base for the polyurethane to do the heavy lifts or for soil compaction. This method is useful to stabilize the soils under roads around manholes, basins, and bridge aprons and is recommended before lifting, after through poor or loose soil substrates (sandy soils, poorly compacted fill, etc.) results in erosion, movement and/or loss of soils causing failure in above and below grade structures such as slabs, foundations, roadways and bridges. The resin is normally injected through small diameter pipes or "probes" deep into the soil, and as it cures it solidifies, encapsulating the soil where it has penetrated. These columns are then used as the solid base for the polyurethane to do the heavy lifts or for soil compaction. Soil stabilization will help reduce or eliminate costly repairs in the future! This method is useful to stabilize the soils under roads, around manholes, basins and bridge aprons and is recommended before lifting after through poor or loose soil substrates (sandy soils, poorly compacted fill, etc.) 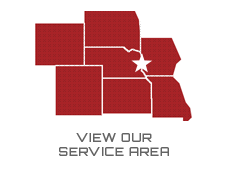 results in erosion, movement and/or loss of soils causing failure in above-and below-grade structures such as slabs, foundations, roadways and bridges.